The price of residential electricity has historically trended upwards despite routine promises of future innovation resulting in lower energy prices. 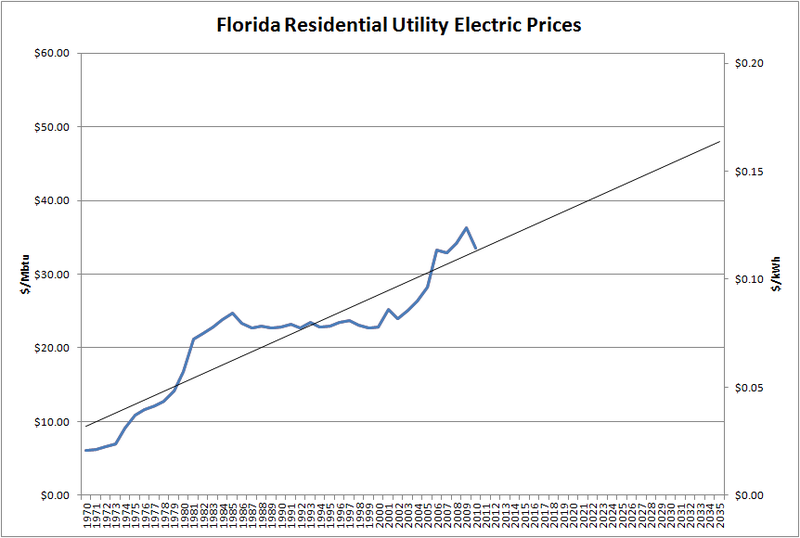 Based on the linear trend, electricity in 25 years will cost about 50% more than it does today. 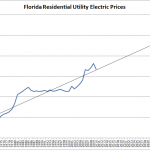 At a 3% annual increase, typical of expected inflation rates, electricity would more than double in the next 25 years. In other words, a $150 electricity bill today will be over $300 in 25 years! What if I told you that you could prepay for 25 years of electricity at well under the current price of about 11.5 cents per kilowatt-hour? Wouldn’t that be a smart financial move and a great hedge against rising future energy costs? Whether you expect to be on a fixed income, want to improve your future quality of life, or are looking for a solid return on your investment, I have a solution for you. 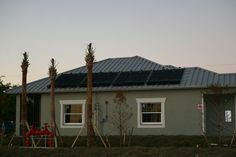 Solar electric (photovoltaic) systems have come down in price so substantially over the last 3 years that, with available incentives, the levelized cost of electricity produced by the system over the 25 year warranty period can be well below the current cost of electricity. 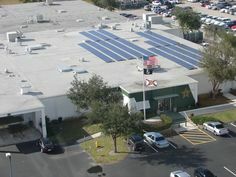 If you have the money to install a solar electric system and a suitable roof, it is completely reasonable (and profitable) to install solar electricity on your Florida home today! 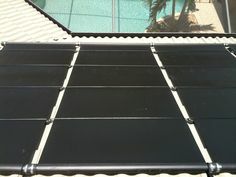 Next Post: Why Do People Invest in Solar Energy?